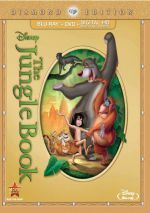 For my whole life, when someone referred to the “Disney version” of Rudyard Kipling’s The Jungle Book, it meant the 1967 animated film. 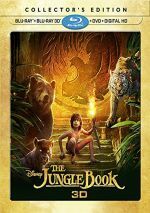 In 2016, Disney made the discussion more complicated, as they released a live-action version, still called The Jungle Book. To protect his clan, Mowgli volunteers to leave, and panther Bagheera (voiced by Ben Kingsley) attempts to shepherd the child toward a nearby human village. Aspects go awry as Mowgli experiences a series of adventures. I went with “live action” as the descriptor because a) the main character is a real person, and b) the rest of the movie attempts “photo real” characters and sets. Of course, if Book featured zero human actors in front of the camera, I’d call it animated no matter how “photo real” it might be, but I still lean toward live action even with the hybrid nature. Whatever one calls it, Book offers a perfectly okay film. I can't say it really entertained me, but I thought it was watchable enough and not something that became a bore. Strangely, it really does seem to be a remake of the 1967 movie and not a fresh adaptation of Kipling. I say that never having read the source, but given how much deviation I've heard the prior Disney film offers and given how much this one resembles the 1967 movie, I must assume it's not true to Kipling. Granted, the 2016 film doesn’t slavishly duplicate the 1967 version. For instance, it comes with a wholly different ending. Still, it’s clear the 2016 edition more fully reflects the Disney cartoon than Kipling’s text, and that means some musical numbers. I thought the inclusion of songs felt weird because they used just two. I don't think the songs fit the film well. I understand they're memorable parts of the animated film, but this version seems to want to be more reality-based. Yeah, I get that there's only so "reality based" a movie with talking animals can be, but at least stick with internal consistency. With all the jungle elements, the mix used the speakers to provide nice movement and localization. Animals and natural components featured in appropriate spots and blended together well, with active, engulfing use of the surround channels. This “Collector’s Edition” of Book presents both 2D and 3D versions of the film. The picture comments above reflect the 2D image – how did the 3D compare? In terms of quality, the 3D looked just as good – and maybe better. To my surprise, it seemed a bit sharper and more precise than the 2D, while everything else – colors, black, shadows – stayed the same. The stereo version really excelled when it came to 3D imaging, as Book provided a demo-worthy visual package. I can’t pick one scene that fared better than others, as the whole movie delivered a gorgeous 3D experience. Don’t expect a ton of “pop-out” moments, though. Those existed – especially during our time with Kaa – but they didn’t arrive with frequency. The image did boast an amazing sense of depth and dimensionality, elements that soared given the setting. With characters who bounded around trees and cliffs, the movie delivered a slew of moments that demonstrated a real sense of height and impact. Okay, maybe I will choose a standout scene: the one in which Mowgli attacks the bee hive. The insects buzzed out of the screen, and the impression of depth when the camera looked below Mowgli seemed astounding. Book offered one of the absolute best 3D experiences I’ve encountered. King Louie’s Temple: Layer By Layer lasts three minutes, 14 seconds and shows us aspects of that scene’s creation. It mixes live performances, storyboards/pre-vis, and recording studios. This turns into an enjoyable way to see the elements needed to bring together the sequence. The remaining five featurettes are new to this “Collector’s Edition” and not on the original Blu-ray. The Bare Necessities: From the Jungle to the Bayou lasts three minutes, 30 seconds and includes short notes from Favreau. Most of “Bayou” features a recording session in which Bill Murray goes to New Orleans to record “Bare Necessities”. It offers a minor diversion but nothing memorable. With The Return of a Legend, we find a three-minute, 41-second reel that lets us see songwriter Richard Sherman’s collaboration for the 2016 Book. He and Favreau work on updated lyrics for “I Wan'na Be Like You” in this short but fun piece. The Jungle Effect runs three minutes, 20 seconds and features quick thoughts from Favreau. Mostly we see examples of how visual effects expanded the original photography. I like that side of the featurette and we get some interesting before/after images. Next comes The Jungle Book Around the World, a one-minute, 56-second piece that shows on scene with lines in a variety of languages. It seems mildly interesting at best. Finally, Developing Kaa goes for two minutes, 51 seconds and shows an animatic used to influence the scene in question. It provides an interesting glimpse of concept art. The 2D disc opens with ads for Rogue One: A Star Wars Story and Beauty and the Beast (2017). No trailer for Book appears here. Essentially a remake of the 1967 animated version, 2016’s The Jungle Book delivers a moderately entertaining experience. However, it doesn’t make its own name for itself, as it copies the prior Disney flick too much. The Blu-ray brings excellent picture and audio along with some useful supplements. I find this to be a decent movie but not one that enchants – though the 3D version adds definite life to the proceedings.